Celebrate the process, the journey, and commit to it. Family, Strength, Love, Faith forever. 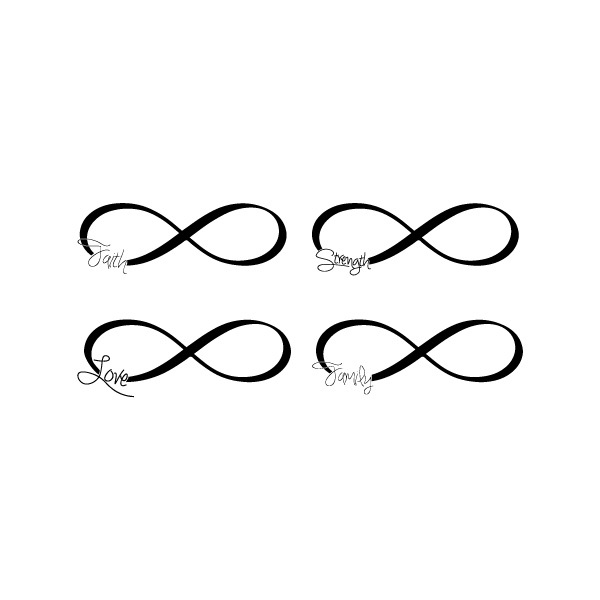 This Inspirational Infinity Symbol decal is ideal for everyone! Our wall decals are ideal for bedrooms, offices, living rooms, entryways, classrooms, dance floors, receptions, even your car, bathtub or glass shower doors! This Inspirational Words Infinity Symbol wall decal is shown here in our Large size, and measures 63 inches wide by 22 inches high. Overall sizes will vary slightly depending on the word selected. If you want to order your own custom word inside an infinity symbol, click here! 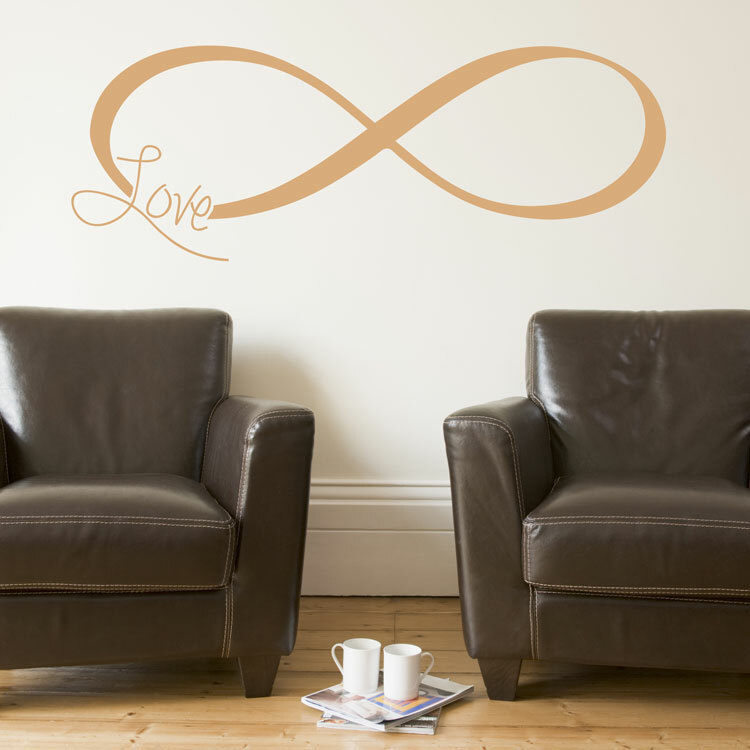 All sizes of our Infinity Symbol Inspirational Words wall decals come in one piece, ready to apply! Excellent communication, super-duper sweet people! Completely supportive in creating a large, custom design. Would definitely work with again! Thanks!! I purchased the hockey players for a fundraiser and they were super popular! Not only was I satisified with the product, the customer service was excellent and ensured I received the item before the raffle! Thanks! We LOVE our tree. I just got it put up today and it looks fabulous. Everyone who has seen it loves it and asks where I got it. Thank you thank you! Hi - I just wanted to say what wonderful customer service you have, and what a smooth, easy process it was to place my order over the phone. I can imagine that a lot of times the "contact us" buttons on web sites are used for when people have questions, concerns, or even complaints. However, I think it's just as important to commend a positive experience. I called after hours, and in all honesty I didn't really expect anyone to answer, and they did! I spoke to a very helpful, accommodating customer service representative who also specially sized an item that I wanted. The transaction went very smooth and it was just very nice to be able to speak to someone so helpful and polite. I'm looking forward to receiving my products, and I'll be sure to recommend your company to others. Thank you!